Netflix’s BRIGHT with Will Smith and Joel Edgerton has a new behind the scenes featurette! – Show Me The Movies! Netflix’s BRIGHT with Will Smith and Joel Edgerton has a new behind the scenes featurette! Will Smith is (or at least he used to be) a bone-fide movie star who in his prime could open a movie to massive business world-wide. The world of movie box-office has changed so much that star power doesn’t necessarily mean a large opening weekend or lifetime gross for films anymore. Nowadays as the local multiplex is dominated by superhero films and franchises it is interesting to see the emergence of Netflix as a film studio in it’s own right. Where not sure how to feel about the streaming services’ upcoming original feature BRIGHT. It looks kinda cool and Will Smith has charisma to spare but the output from Netflix has been mixed at best. However, a new behind the scenes featurette has been released to give us an idea of what to expect when the movie is released on 22nd December 2017. Check the synopsis and trailer out below. A buddy cop movie set in an alternate present-day where humans, orcs, elves and fairies have been coexisting since the beginning of time. Ward, a human, and Jakoby, an orc, embark on a routine night patrol that will alter the future of their world as they know it. Battling both their own personal differences as well as an onslaught of enemies, they must work together to protect a young female elf and a thought-to-be-forgotten relic, which in the wrong hands could destroy everything. 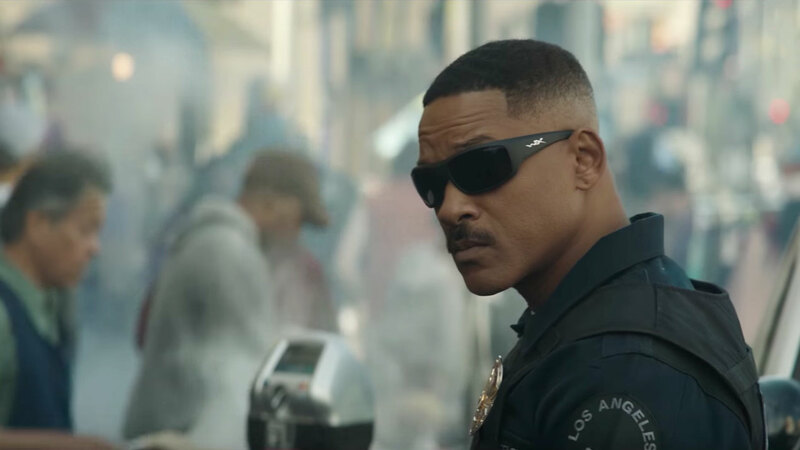 Pingback: Netflix Action Movie BRIGHT Starring Will Smith Gets Chaotic New Trailer! – Show Me The Movies!